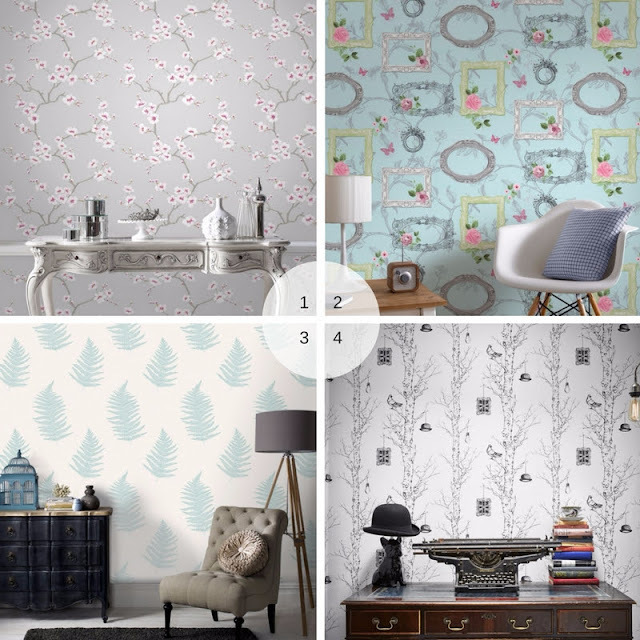 I know several friends who are redecorating at the moment, I have even found myself distracted by the many beautiful wallpaper designs when recently browsing through some home style magazines. This had me thinking, sometimes it is hard to take the plunge and choose a bold or statement design wallpaper. It is easy to choose the safe option. An impressive wallpaper design is there to make an impact, but you do not want to feel as though the room is overwhelmed by your choice of wallpaper. You want it to enhance, create an ambiance to your room, a statement wallpaper design on just one wall can do that. Less really is more, giving you the perfect 'Feature Wall'. At times it can also be a mistake to have it pasted on every wall of a room. Create yourself a 'Feature Wall' - choosing the right design for you. Redecorating and restyling the whole room, this gives you a blank canvas you can choose to make your wallpaper the star of the show. Use it to influence the soft furnishing, furniture and overall colour palette. Maybe you just want to refresh a room, fed up with four magnolia walls. Creating a feature wall is affordable, by just wallpapering one wall you can help keep costs down. 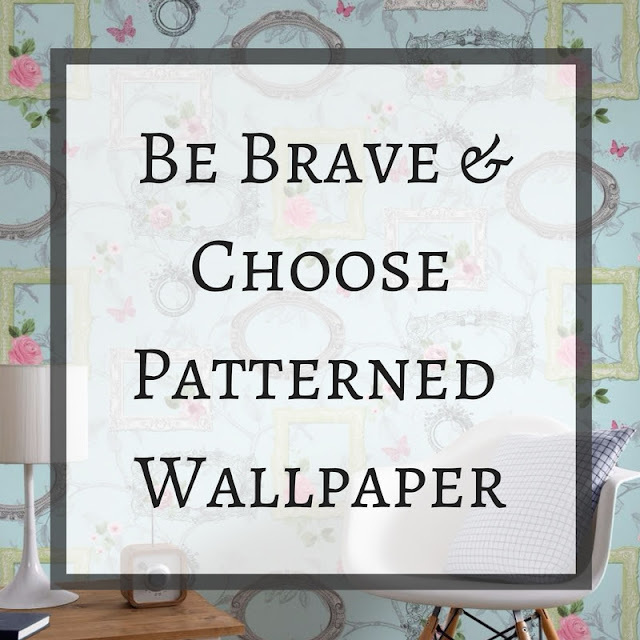 Or if you have fallen in love with a beautiful design that is a little more expensive per roll, at least you are only have to budget to wallpaper one wall! Choose a colour or pattern that will work with your existing furniture. I find boutique hotels, or restaurant a great place to inspire, the hotel I stayed in last year on the Isles of Scilly had some wonderful wallpaper, which was used to great effect. Some times it takes a conscious effort to take a step out of your comfort zone, other times you are naturally drawn to a pattern or colour. I told you earlier I had been distracted by wallpaper browsing, and I am sharing some of my favourite wallpaper designs currently available online at House of Fraser. I love the blue vintage floral frames wallpaper which I could see in my craft room, a bright but calming feel to it. 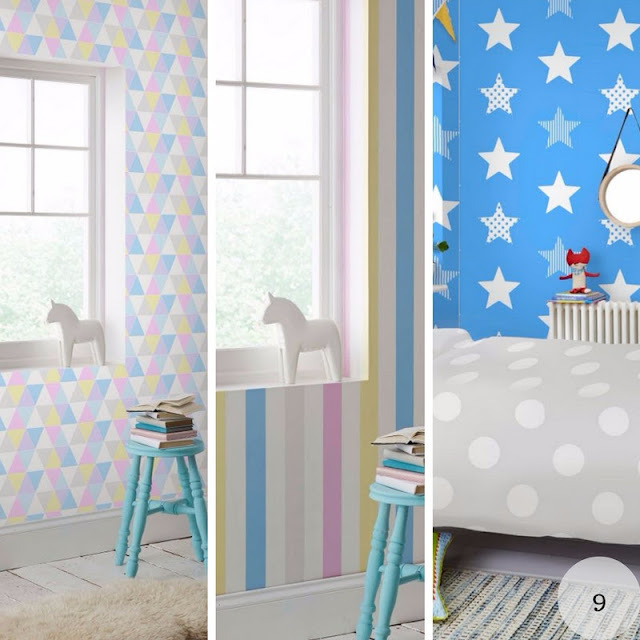 Children's room are perfect for feature wall, choose a themed design maybe space or sea creatures, or just a beautiful selection of shapes and colours, such as the pastel harlequin shapes in photo 9. 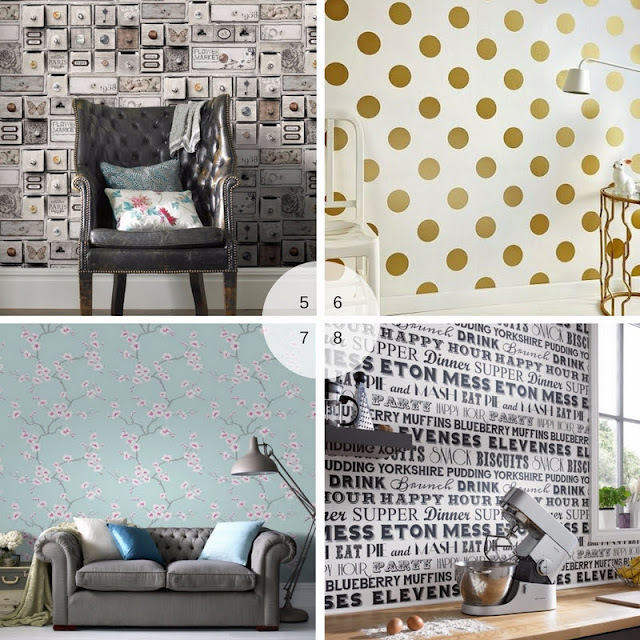 The White and Gold Polka Dot wallpaper (number 6) is great choice for a teenage girl or twenty something, a chic funky look, what a perfect background for a vlogger! Do you have a feature wall? Or are you drawn to any of the patterns in this article. Disclosure: This is a sponsored post for House of Fraser. I like the idea of a feature wall but find paint so easy. Some fantastic wallpapers.